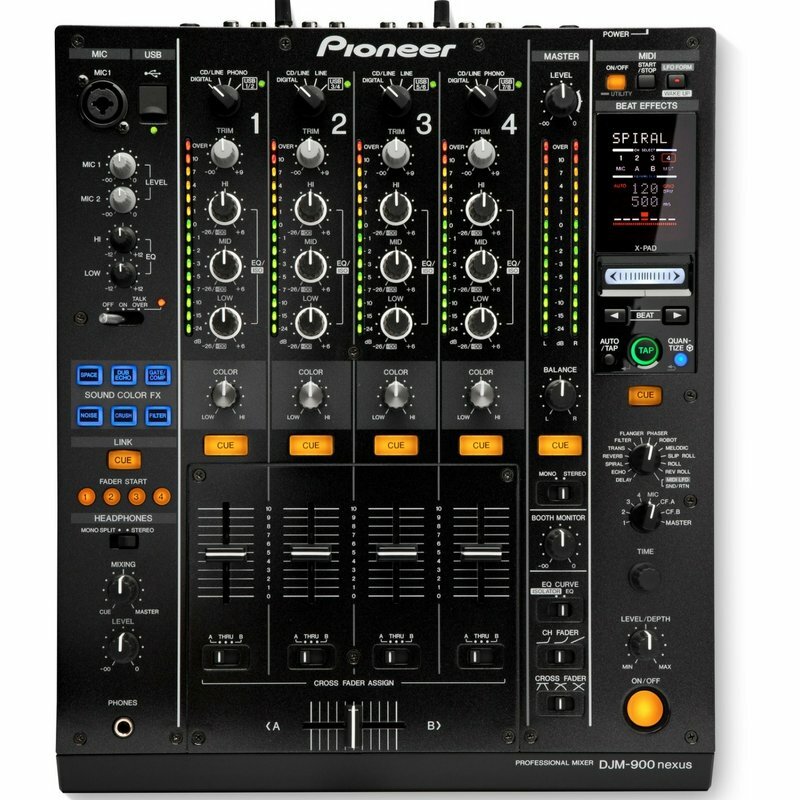 Pioneer’s flagship mixer the DJM 900 nexus is the preferred mixer by most international and club dj’s. Its our most popular requested mixer. Offering all the features you could possibly need. Pioneer’s flagship mixer the DJM 900 nexus is the preferred mixer by most international and club dj’s. Its our most popular requested mixer. Offering all the features you could possibly need. Outputs from the mixer is compatible with any of our speakers we hire. It comes with dedicated booth, master, and recording outputs. Also 2 microphones inputs plugged directly into the mixer. This mixer is one of the leaders.